It's back-to-school time, and that means preparing students for their new year at school. 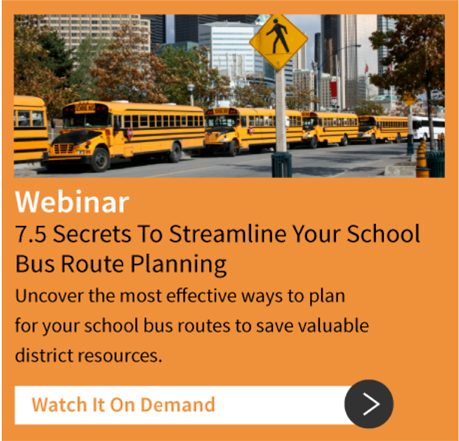 There's a lot of information to convey - all of it important - but very little is more important than ensuring safe usage of your school bus transportation system. 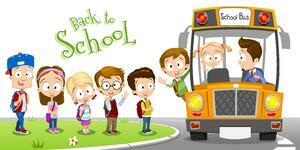 Any student who uses the bus needs to be prepared to board, ride, and disembark safely. 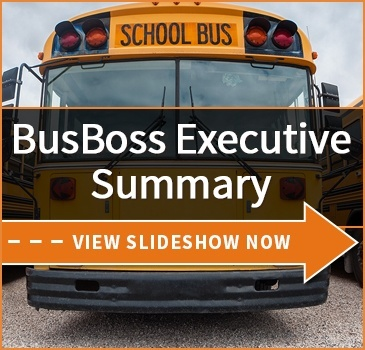 We've put together a quick list hitting the most vital elements that any bus rider should know before they start their daily trips on your bus. Students walking to the bus stop should always stick to the sidewalks, and never wait in the street. If having to walk more than a few feet, they should always walk facing traffic. Stay five to six feet back from the curb as the bus is arriving. If having to cross the street to reach the bus, always look both ways before crossing the street. If the bus driver is to signal students when it's safe to cross the street, ensure they know what the signal is. Students should not wear headphones\earbuds when the bus arrives, to ensure they maintain awareness of their surroundings and can hear any instructions from the driver. Always wait for the bus to fully stop before approaching it. Show students the "danger zone" around the bus and warn them to never stray inside it. In particular, students should never cross within 10 feet in front of the bus. Teach them the eyeline rule: if you can't see the driver's eyes, the driver can't see you either. Use handrails when climbing onto the bus. If the bus uses seat belts, the belts should always be properly fastened. Always sit facing forward. Never sit backwards, or stretched across the entire seat. Keep conversations at a moderate volume, so they don't distract the driver. Remain seated; do not enter the aisle while the bus is in motion. Avoid waving arms around or otherwise creating visual distractions in the driver's rearview mirror. Always follow all driver directions while on the road. If seatbelts are available, they should remain in place for the entire ride. Do not unbuckle or stand up until the bus has come to a complete stop. Wait for the driver's signal that it's safe to leave. Use the handrail when walking down the steps. Always look both ways before crossing the street, even if the driver has already signaled it's safe. Stay out of the "danger zone," just like when boarding the bus. 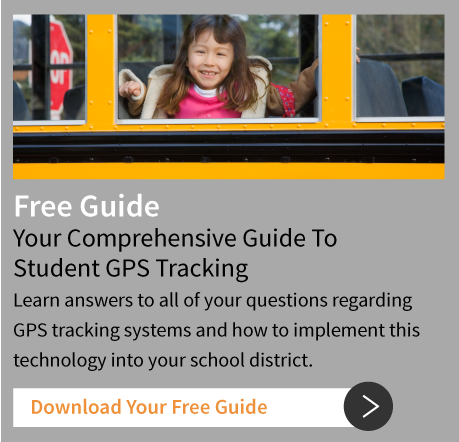 Are there any important school bus transportation safety tips we missed? Let us know in the comments below!